The Alabama Senate has confirmed Gov. Kay Ivey’s appointment of Tony Smoke to the Jacksonville State University Board of Trustees. He will serve as the representative from the Third Congressional District. Smoke has more than 30 years of experience with Alabama Power Company, where he currently serves as vice president of its Eastern Division. He earned a BS in electrical engineering from Auburn University in 1984 and a Juris Doctorate from the Birmingham School of Law in 1997. A 2013 graduate of Leadership Birmingham, Smoke serves on the boards of the YMCA of Greater Birmingham, March of Dimes, American Red Cross, 4 Little Girls Scholarship Foundation, Alabama Symphony Orchestra, Alabama Institute for the Deaf and Blind Foundation, Calhoun County Chamber, Calhoun County Economic Development Council and the Anniston Museum of Natural History. Smoke is a member of Alpha Phi Alpha Fraternity Inc., past chair of the Hispanic Interest Coalition Association Board, and a former board member of the Birmingham Education Foundation and the Birmingham Public Library Foundation. Smoke fills a seat vacated by Ronnie Smith, who announced his resignation during a trustee meeting in February. 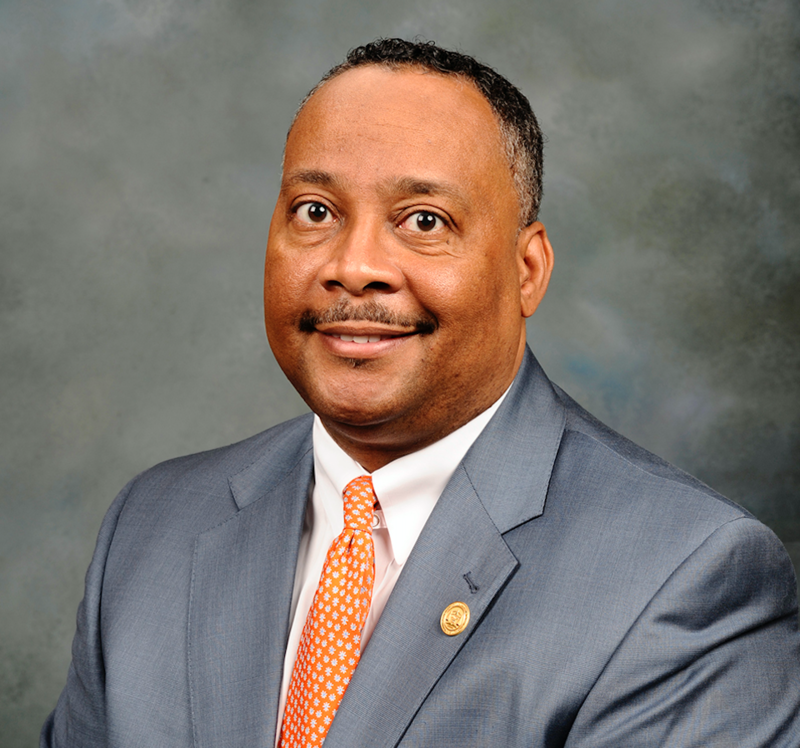 Chair of the board for Noble Bank & Trust and retired vice president of Alabama Power Company, Smith had served as a JSU trustee since 2004 and was the current board chair. He first began volunteering on campus in 1990. Respected for his business acumen and admired for his compassionate, student-centered approach to his work, Smith calmly led the board through times of change and uncertainty on campus. He was instrumental in the presidential transition in 2015, accepted the responsibility of board chair following the death of longtime chair Jim Bennett in 2016, and aided in the rebuilding of campus following the 2018 tornado. He steps down to spend more time with his wife, Betsy, and their three children and seven grandchildren. “I would like to thank Ronnie Smith for his exemplary leadership and service on the JSU Board of Trustees over many years,” said JSU President John M. Beehler. "He has had a major impact on JSU and will be missed on the board and on campus. I feel confident that the void created by him will be amply filled by Tony Smoke. Mr. Smoke is a strong business leader whose knowledge and skills will complement his peers on the board. I look forward to working with him as we continue to advance the university." Smoke will attend his first meeting as a trustee at the board's next quarterly meeting on April 16.